Expand your troops with the Halo Combat Unit! NEW colour UNSC Cobalt unit and Covenant Silver unit! Customize your characters. This toy costs approximately £9.99 (for the latest and best prices make sure you check our retailer list for the Mega Bloks Halo Combat Unit Assortment above). 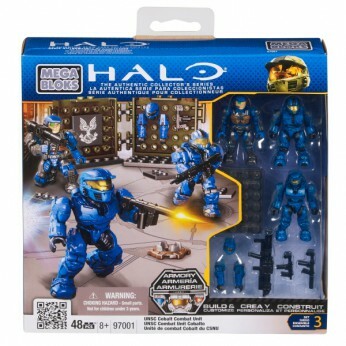 In our review of Mega Bloks Halo Combat Unit Assortment we classed it as being suitable for ages 6 years, 7 years, 8 years, 9 years, over 10 years but recommend you check the manufacturer specific advice before purchasing.